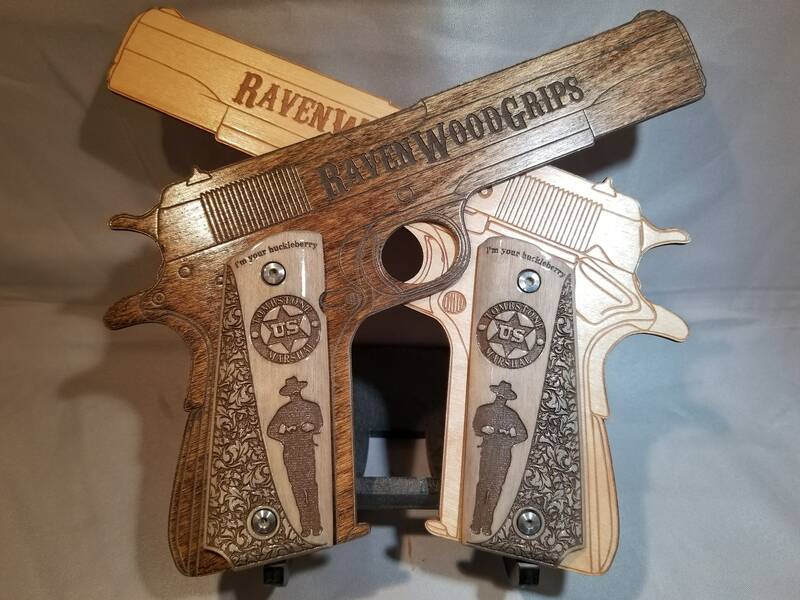 Inspired by the movie TOMBSTONE, these Doc Holiday themed FULL SIZE 1911 grips will be sure to convey your gunslinger message. 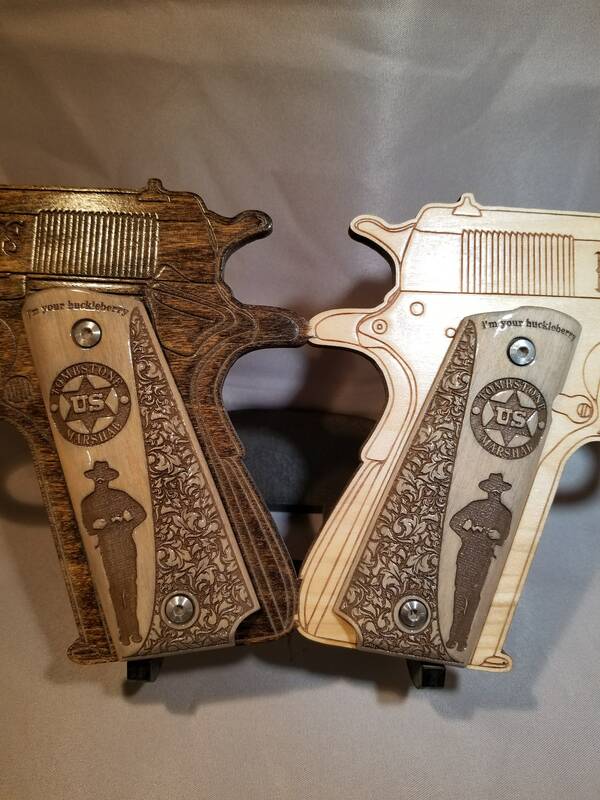 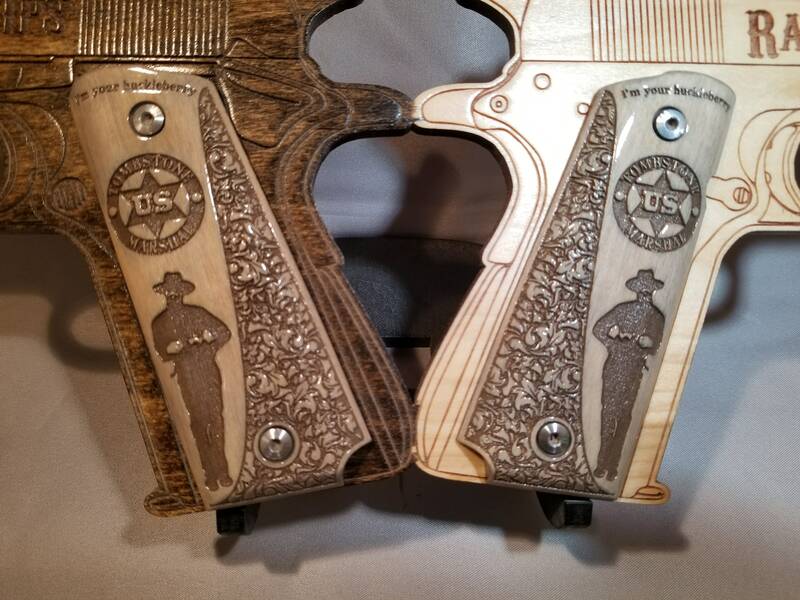 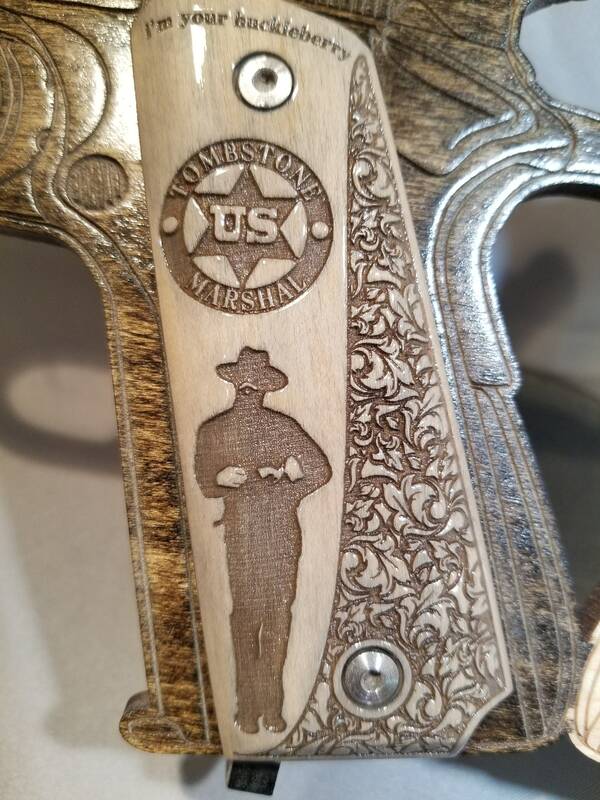 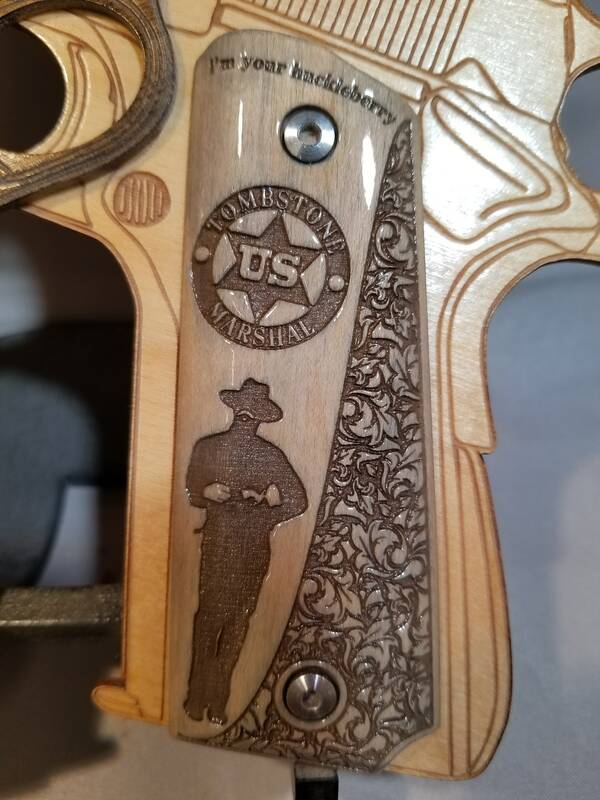 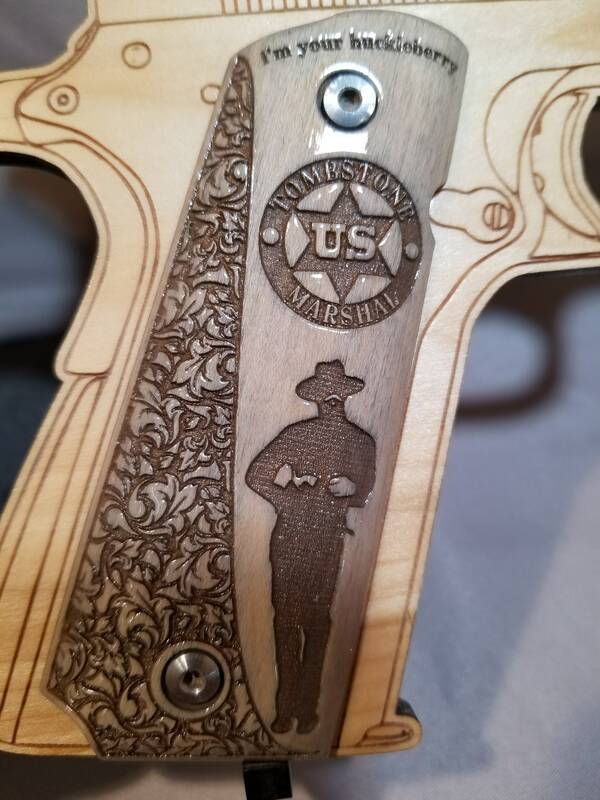 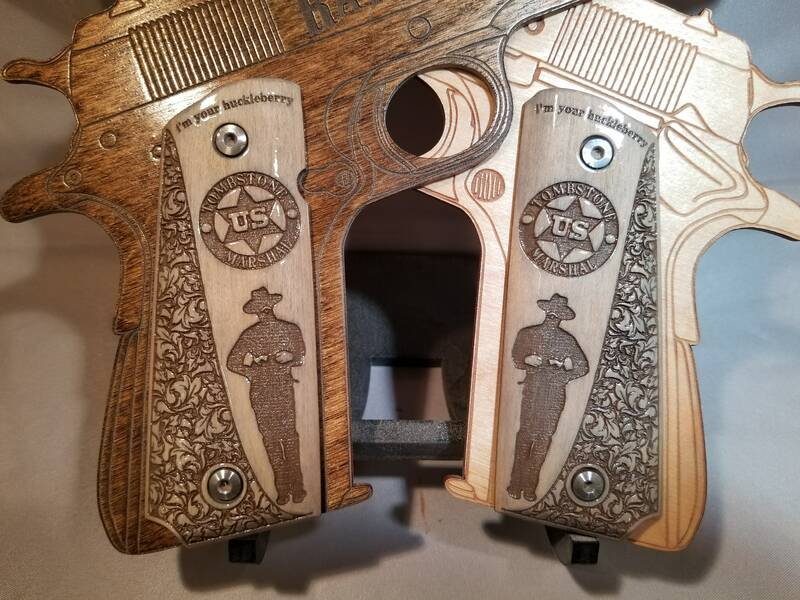 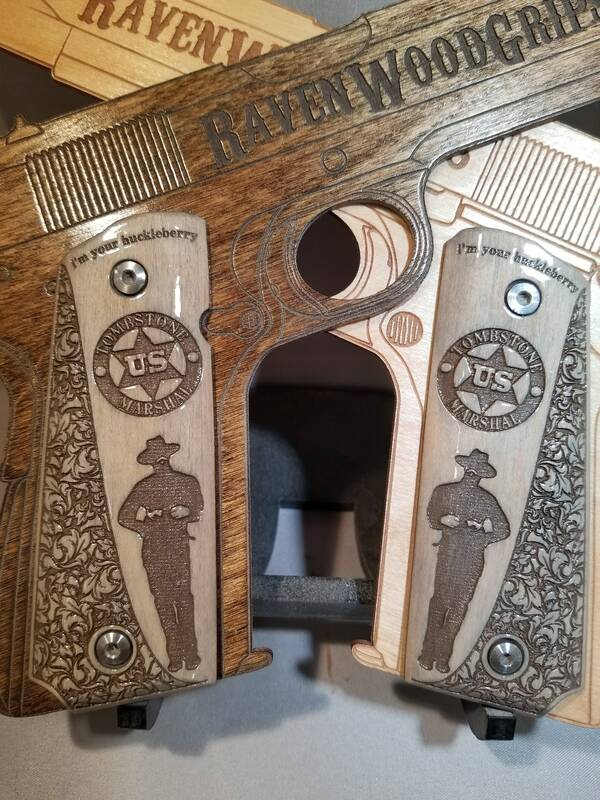 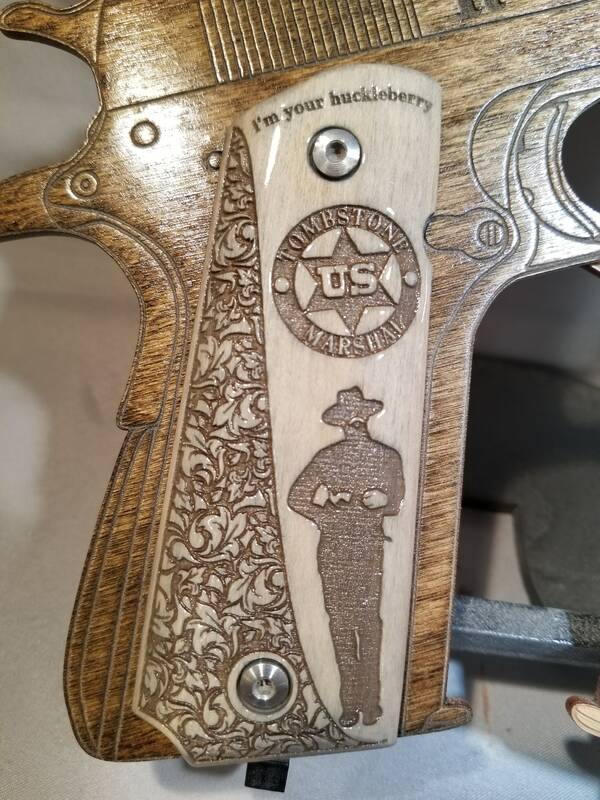 Made from MAPLE, they have "I'm your huckleberry" engraved across the top, a stylized leaf pattern across the back/bottom, a period specific US Marshall badge on the top/front, and a silhouette of Doc Holiday on the front/bottom of the grips. 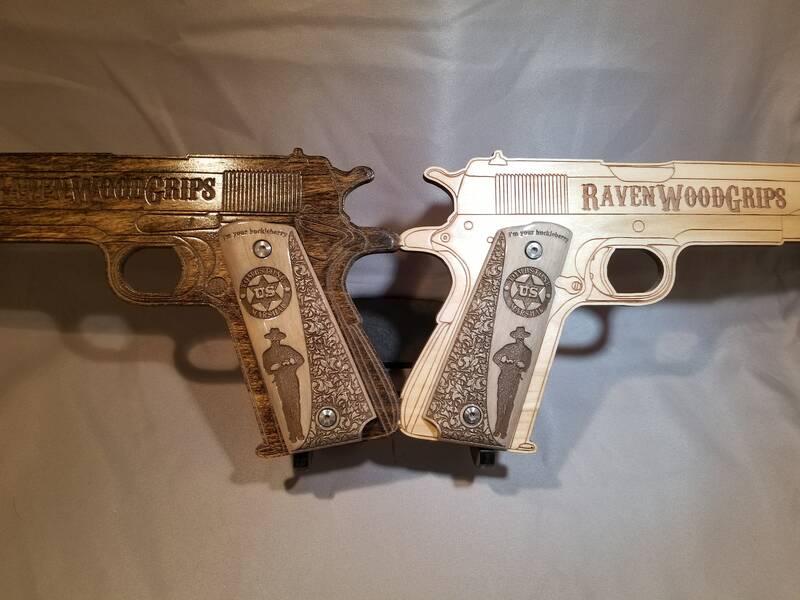 The ones in the picture are stained Driftwood Grey, but you can choose any from the drop-down menu to suit your taste!